Wear a piece of the past. 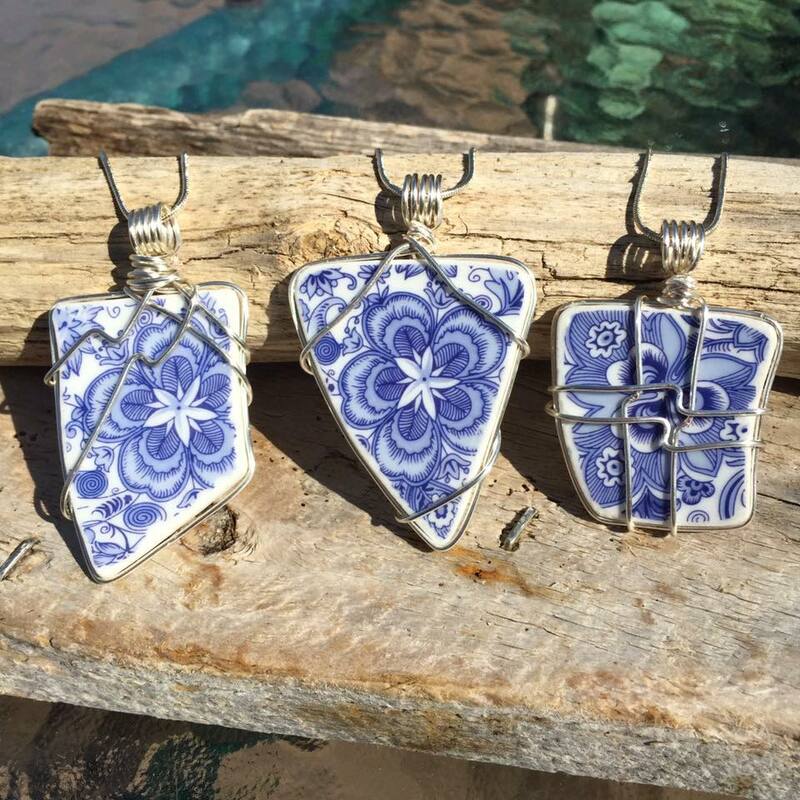 We make custom pendants from vintage plates that are cracked, broken or unwanted. We repurpose the plate to become a beautiful piece of art for you to wear. We custom design and cut the piece using diamond drill bits to shape it. Silver plate wire is then used to wrap the piece to showcase its individual beauty.